Japanese online consumers can’t get enough enough of vinyl flower vases, and for good reason. The list of advantages seem to go on and on, with no negatives in sight. Besides being generally cheap and very cute, they are reusable and portable, making them easy to take on trips. They’re stable and won’t shatter like regular glass flower vases, which is a definite plus for people on the clumsy side or families with small children and pets. 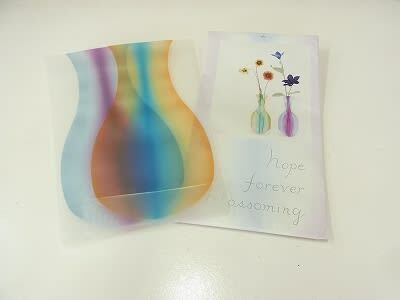 The vinyl is also very durable, so you can use them over and over again to try out different combinations of flowers and designs depending on your mood. Vinyl flower vases have actually been around for a while, even if you’ve never happened to see them before. 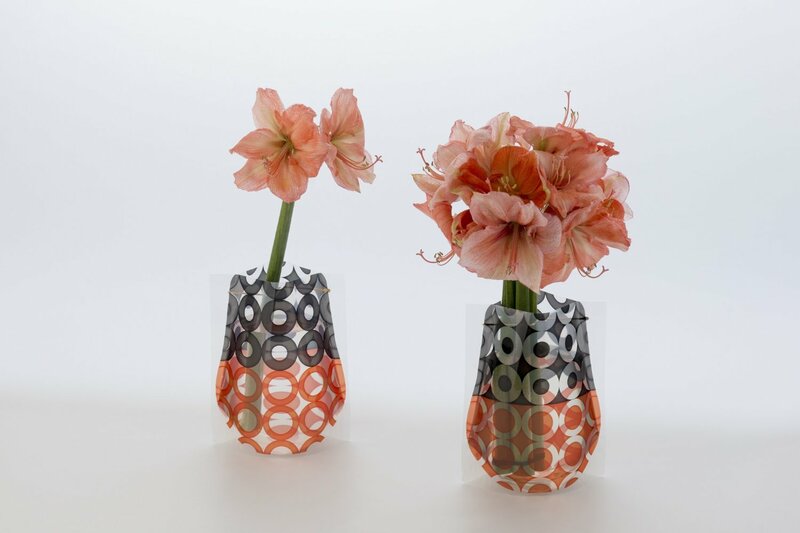 The elegant vinyl vase designs named “Hope Forever Blossoming” by Japanese brand D-BROS even won a prestigious ADC Award (Art Directors Club; a global organization celebrating leaders in advertising and design) and a Japanese Good Design Award in 2003. 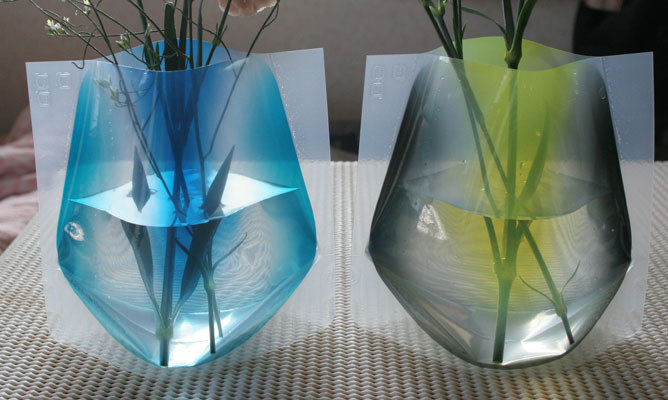 ▼From a distance, these vinyl vases look just like glass. ▼One of their best features is their portability – when folded up, they can even fit inside a card! ▼And there’s no need to worry about sunlight or water causing the colors to fade. 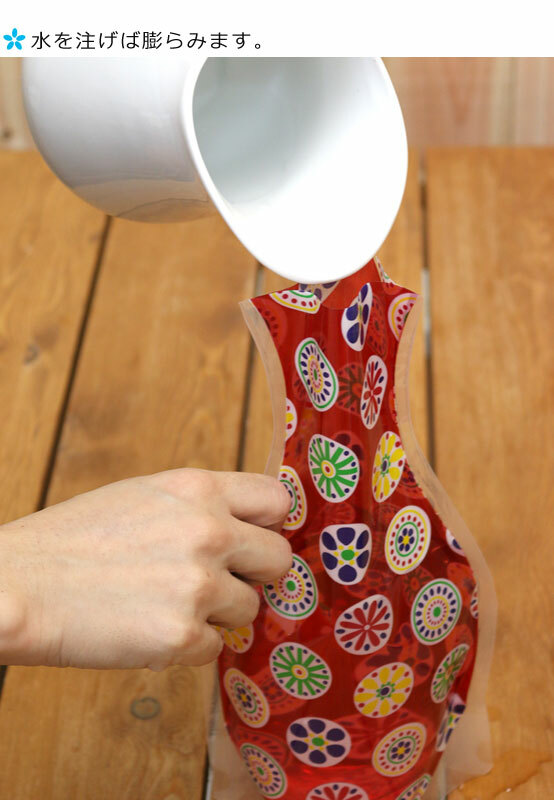 ▼Using one of these vases is very simple. Just open the mouth with your hands and pour in the water. ▼Light shining through the vases is also really pretty. ▼Cool geometric designs add to the fun! Vinyl flower vases make a great add-on gift for birthdays, visiting sick friends, or celebrations like Mother’s Day, especially since you don’t have to worry about whether the recipient has a vase or not. Of course, they make a great gift for yourself as well without having to break the bank. Happy flower decorating! You can get inexpensive glass vases from the Dollar Store here in Canada. They are quite nice too.